Bonus edition this week. We talk with the Alliance's leading tackler Tyson Graham Jr. about his time at South Dakota, his journey to the AAF and some future endeavors that could include a full-year of football. 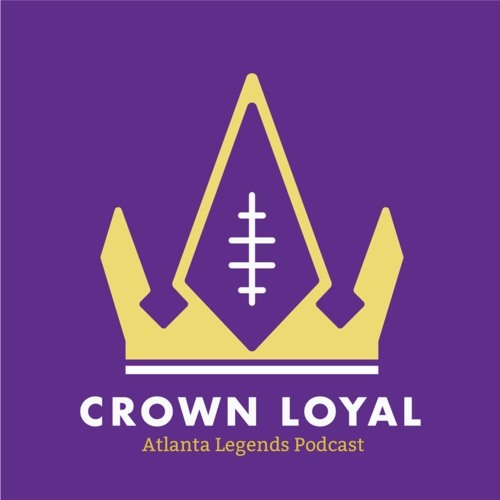 Download Crown Loyal Podcast - BONUS Ep - Interview with Legends safety Tyson Graham Jr.
Users who like Crown Loyal Podcast - BONUS Ep - Interview with Legends safety Tyson Graham Jr.
Users who reposted Crown Loyal Podcast - BONUS Ep - Interview with Legends safety Tyson Graham Jr.
Playlists containing Crown Loyal Podcast - BONUS Ep - Interview with Legends safety Tyson Graham Jr.
More tracks like Crown Loyal Podcast - BONUS Ep - Interview with Legends safety Tyson Graham Jr.